Found Her! 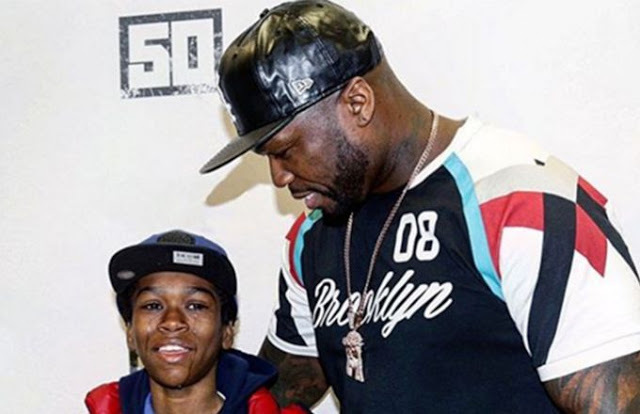 50 Cent Has A New Son, See Pics Of Who The Mother Is - Ooooooo La La! I received confirmation from an anonymous source that the woman below, Myasia Dickerson, is indeed the mother of, Davian... the young boy who is supposedly 50 Cent's son whom he just recently met. There's so many questions... like, is 50 messing with us or is this kid really HIS son? And, if so, why is the rapper just now finding out about Davian? Davian would make 50's third son and baby's mother. Myasia has yet to confirm the news, but 50 has posted several photos about Davian - who is in the 5th grade - and he's proudly showing off his academic achievements on his Instagram page (see here).